During Samsung’s Unpacked 2014 Episode 2 press conference in Berlin, we expected the company to officially announce the Galaxy Note 4. 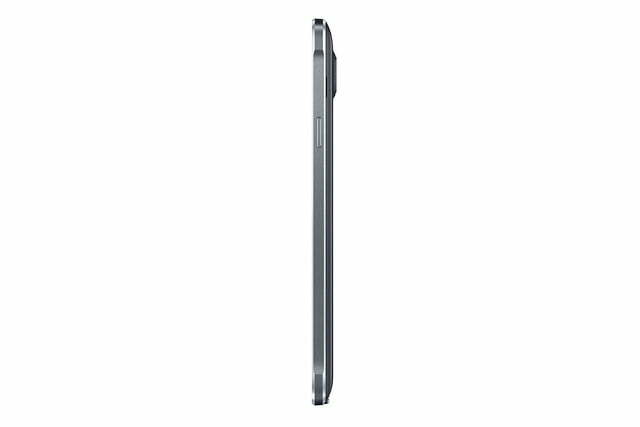 While it did just that, Samsung also announced another entry in the Note series: the Note Edge. While the Galaxy Note 4 looks to continue the smartphone/tablet hybrid tradition of the Note series, the Note Edge looks to shake things up a bit with its curved display. 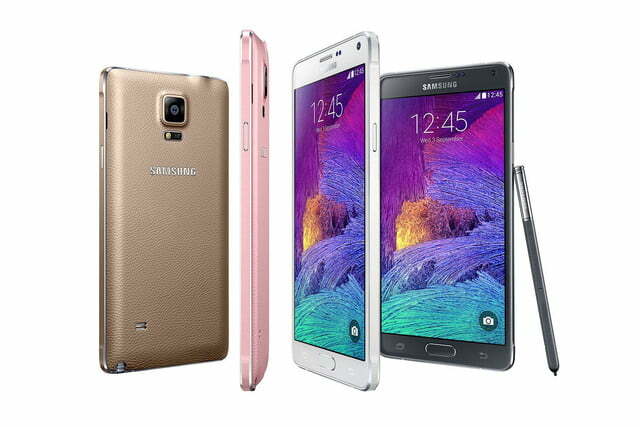 Let’s take a closer look at both devices, starting with the Galaxy Note 4. 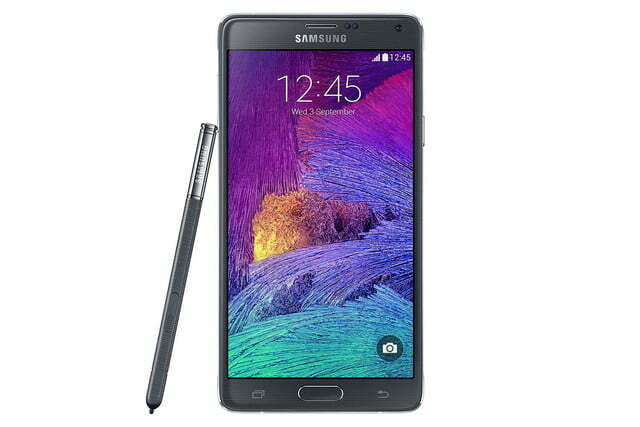 Updated on 09-18-2014 by Malarie Gokey: Samsung says the Galaxy Note 4 will be available for preorder, starting September 19 and arrive in stores October 17. Added T-Mobile pricing. 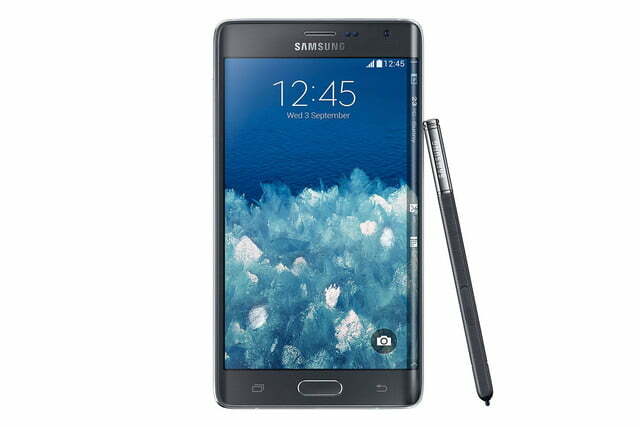 Just one day before the iPhone 6 and 6 Plus arrive in stores, Samsung announced that its Galaxy Note 4 phablet will go up for preorder on the same day, September 19. 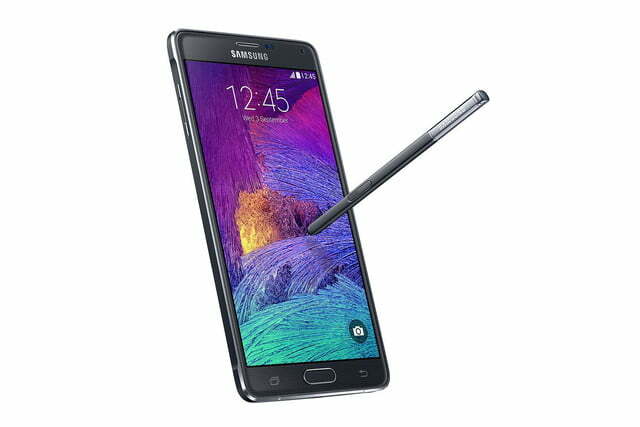 The Galaxy Note 4 will be available in U.S. stores on October 17. 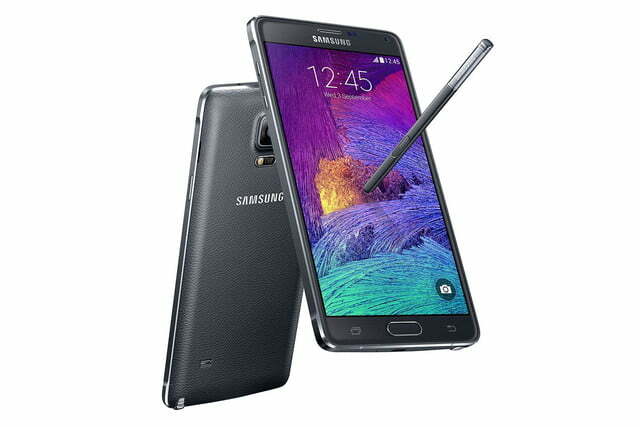 AT&T, Sprint, T-Mobile, Verizon, and U.S. Cellular will offer the Galaxy Note 4 to subscribers. Samsung will also sell the device in retail and online stores such as Best Buy, Amazon, Costco, RadioShack, Sam’s Club, Target, and Walmart. The company did not announce pricing for the phablet yet, but said that anyone who preorders the Galaxy Note 4 between September 19th and October 16th will be guaranteed a total trade-in of $200 for their old smartphone, so long as it’s in working condition. You can read more about the promotion on Samsung’s website. Shortly after Samsung made its announcement, T-Mobile revealed the pricing for the new Note 4 for customers on its Simple Choice Plan. At T-Mobile, the Note 4 will cost $0 down, but you’ll have to pay $31.24 a month for 24 months, making the final price $749.76. It looks like the iPhone 6 Plus and Samsung’s Galaxy Note 4 will end up costing the same amount. The Galaxy Alpha kicked off Samsung’s new design language, which includes aluminum sides, chamfered edges, and a faux-leather back. 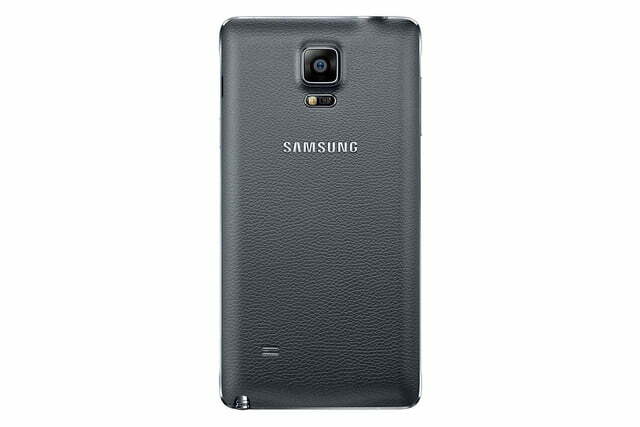 The Note 4 continues that design language, with the back cover losing the stitches that were found on the Note 3. 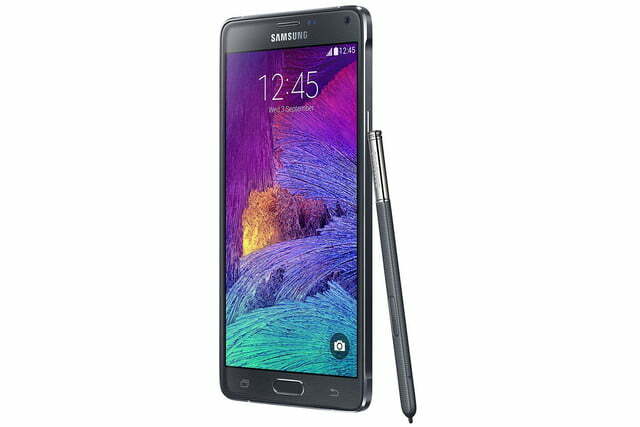 The Note 4 retains the same screen size as its predecessor, though it improves on it by packing a 2,560 × 1,440 pixel Quad HD Super AMOLED display, compared to the Note 3’s 1080p display. The company says the 16-megapixel camera found on the back will take great pictures due to Smart OIS, Samsung’s optical image stabilization software. The 3.7-megapixel front-facing camera is capable of taking selfies as wide as 120 degrees and with better low-light support, thanks to its large aperture lens. The Korean version of the Note 4 will be powered by an octa-core Exynos 5433, which is composed of a 1.9GHz quad-core processor for beefy activities and a 1.3GHz quad-core processor for other less intensive tasks. Other regions, including North America, will feature a 2.7GHz quad-core Snapdragon 805 processor with a 600MHz Adreno 420 GPU. 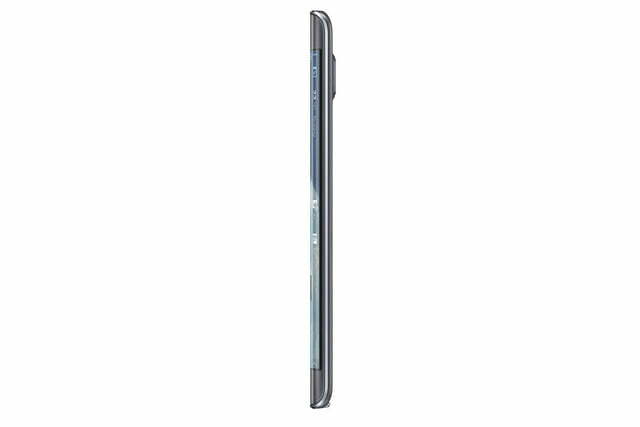 Regardless of which version you get, the Note 4 will include 3GB of RAM and 32GB or 64GB of memory that is expandable up to 64GB through the MicroSD card slot. Much like with the Galaxy S5, the Home button also acts as a fingerprint scanner, with a heart rate monitor on the back underneath the camera. Even though the Note 4 packs a 3220mAh battery, only 20mAh bigger than its predecessor’s, Samsung equipped the phablet with quick charging capabilities. According to Samsung, the Note 4 charges from 0 to 50 percent in half an hour, so long as you use the charger that comes in the box. 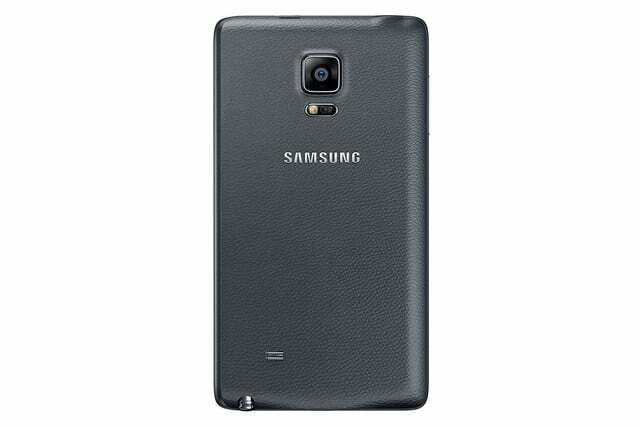 The Note 4, by all intents and purposes, features the same UI as the Galaxy S5. 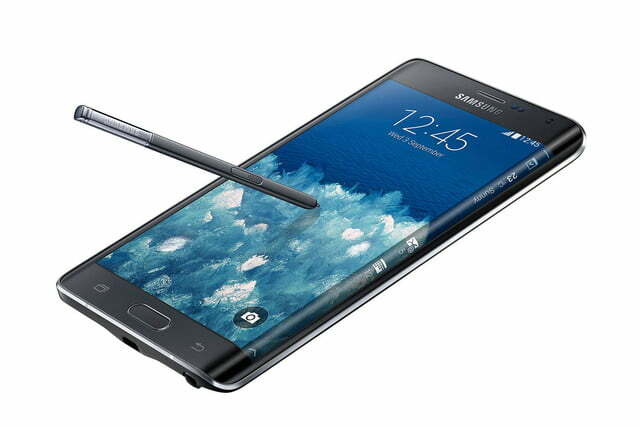 However, Samsung threw in a few new features to take advantage of the Note 4’s S Pen. Snap Note allows you to take a picture of any note, such as notes written on paper or a blackboard, and converts it into a digital note. Samsung also improved Multi Window, which now lets you drag your finger or S Pen to the center of the screen from the top-right corner. This turns the app into a floating app, which can be resized and convert it into a multi-window screen. In terms of the S Pen itself, Samsung doubled its pressure sensitivity. This allowed the company to throw in two new S Pen modes: calligraphy and fountain pen. What about the Note Edge? 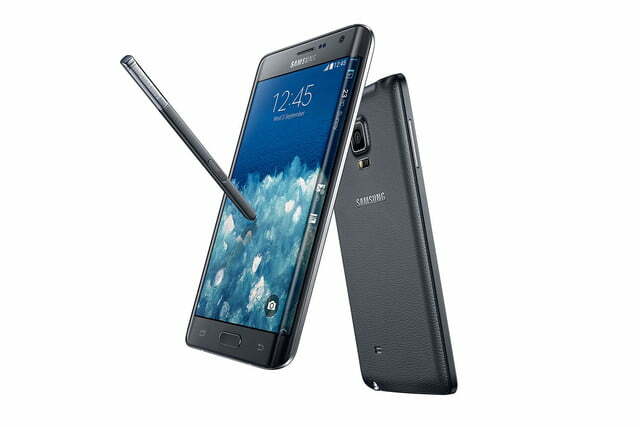 In terms of specifications, the Note Edge might as well be a carbon copy of the Note 4. 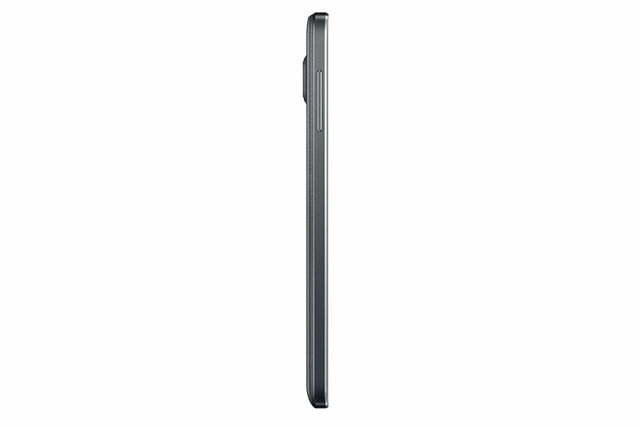 However, what differentiates the Note Edge from just about every other smartphone in the market is its curved display. This allows users to check on their frequently used apps, alerts, and device functionality, even when the phone’s cover is closed. You can also receive notifications on what Samsung calls the Edge Screen without them interrupting any videos you might be watching. The Note Edge will be available in “select markets” later this year.